Our question would be – what if there are alternatives to implants with NLP? This is not to say we should stop research or have any ill feelings to anyone who has already benefited from these devices, but if there is an alternative that we can provide through NLP or a related modality – then let us do it. We certainly have had clients who have had many pre-existing physical conditions healed or resolved during sessions. Here is the article to think of the opportunities we have. The potential is great. Unlike most drugs, these implants produce few side effects. The devices also are aimed at prevalent diseases that can’t always be treated with drugs. As a result, medical-products executives and their surgeon partners predict that such implants could one day become as common as cardiac devices, which are currently helping 2 million Americans. The use of implantable mini-generators is more widespread than you probably think. Already, 190,000 patients are wearing electrodes in their heads to control Parkinson’s disease tremors or spinal-cord stimulators to relieve pain or prevent urinary incontinence. Some 30,000 have wires threaded to the vagus nerve in the neck to treat epilepsy, while 60,000 have microtransmitters in the inner ear enabling them to hear. These numbers are likely to grow — and quickly. One of the most promising devices is a $15,000 neurostimulator for chronic depression from Cyberonics Inc. (CYBX ), which the Food & Drug Administration conditionally approved on Feb. 2. Candy Bradshaw can testify to the power of neurostimulation. She had a gastric pacemaker implanted in her abdomen in 1999 at Tufts-New England Medical Center in Boston as part of an early-stage trial sponsored by Transneuronix Inc. Today, Bradshaw, 47, weighs 200 pounds, down from 280 before surgery. She still has to watch her diet and exercise regularly. But the device makes her feel full sooner than before, so she eats less. “What it has done is fantastic,” says Bradshaw, an office manager in Worcester, Mass. Executives of Transneuronix in Mt. Arlington, N.J., say the implant, now in a pivotal trial, could be available as a less-invasive alternative to stomach stapling within three years. At Indiana University Medical Center in Indianapolis, researchers hope neurostimulators might enable paraplegics to walk again. Their device beams microvolts of electricity through six surgically installed electrodes to the site of a spinal cord injury. The electric field reverses direction, or oscillates, every 15 minutes. In a just-completed experiment on 10 volunteers, oscillating stimulation helped nerves regenerate after 14 weeks of treatment, say doctors in the study, a joint venture between Indiana University and Purdue University. Two patients even recovered some movement in their legs, and one man who had been impotent regained sexual functions. Doctors, fully aware that earlier efforts in this area failed to achieve results, now are screening paraplegics for a second round of trials. The returns for investors may also be substantial. Today, most neurostimulators don’t make money because years of research and development and marketing outlays overwhelm what are, in the beginning, only trickling revenue streams. Still, Advanced Neuromodulation Systems Inc. (ANSI ), of Plano, Tex., averages gross margins of 70% on its spinal-cord device for chronic pain. Houston’s Cyberonics, Medtronic, and Boston Scientific — the other companies with FDA- approved neuromodulators — all boast even fatter margins. As sales grow, device makers will be able to spread their expenses over a wider base and become more efficient manufacturers. If the FDA approves their new treatments, says Jan D. Wald, a medical-device analyst at A.G. Edwards & Sons Inc. (AGE ) in Boston, pretax earnings at the smaller companies should rise to 20% to 30% of revenue, equalling the return on more established products such as pacemakers. “The market is close to an inflection point,” he says. Mark Landy, an analyst at Susquehanna Financial Group in Bala Cynwyd, Pa., also sees the market growing by 20% for the next several years. For now, though, he cautions against buying these stocks, saying the share prices are already based on outsize returns. Over time, however, these devices may restore more than lives; they could save money, too. In a comprehensive review of spinal-cord stimulation, a doctor and an economist at Maastricht University Hospital in the Netherlands reported in 2002 that the cost of implanting the device was offset by savings on physical therapy and other expenses in 2 1/2 years. The study’s authors, who tracked 54 patients over five years, also extrapolated that over a lifetime, each patient would save $60,000. CMS and most major private health plans such as Blue Cross Blue Shield Assn. cover implants for FDA-allowed devices, although reimbursement rates and prerequisites for surgery vary. Neurostimulation has another selling point: Because the implants alter tissue only at their points of contact, side effects are generally negligible. Most say they can’t sense the stimulation at all. Contrast that with the most common drug treatment, Dilantin, which can cause dizziness and nausea and can lead to liver damage. “Think of the device as a smart bomb“says Advanced Neuromodulation (ANSI ) CEO Christopher G. Chavez. Medical-device executives and surgeons point out that today’s implants are not generally intended to be a first-line treatment. Someone with heart trouble, for instance, would start off on a cholesterol-reducing drug and a stricter diet before getting outfitted with an implantable defibrillator. The same goes for neurostimulators, which are meant for patients with illnesses or disabilities for which there are no other treatments. People like Judith Walsh of Elmwood Park, Ill. In 1999, when Walsh was just 54, she suffered a stroke that paralyzed her entire left side. Thanks to aggressive physical therapy, she recovered the ability to speak — and also learned how to walk again. But her left arm remained atrophied, with her left hand permanently clenched in an almost-useless fist. 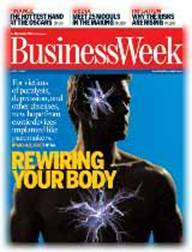 Last February, Walsh began electrical-stimulation therapy. In a clinical study sponsored by Northstar Neuroscience Inc., doctors at Northwestern Memorial Hospital in Chicago implanted a pacemaker in her chest and tunneled wires up her neck to her head. They drilled through her skull to place an electrode patch about the size of a postage stamp on the protective membrane surrounding her brain, close to the swatch that had been killed by the stroke. The surgery took 90 minutes. For the next six weeks, even though she couldn’t feel it, the device bathed the target site with electricity as she willed her left arm and hand to move during 3 1/2 hours of supervised rehab every day. Then the implant and electrodes were surgically removed. Today, Walsh can make a peanut-butter and jelly sandwich and grip the steering wheel of her car with her left hand. More gratifying, she says, she can feed and dress her five-month-old granddaughter, Emma, things she couldn’t do with her three older grandchildren when they were babies. “It’s hard, as a grandmother, not to be able to hold the grandchildren — and now I’m able to do that,” she says. “It’s the thrill of my life.” Executives at Northstar, a Seattle startup financed by J&J and Boston Scientific, among others, are now negotiating the parameters of a final-stage clinical trial with the FDA. On Feb. 2, the FDA cleared Cyberonics’ vagus-nerve stimulator for chronic depression, pending some clarification on the labelling of the device. Chairman and CEO Robert P. “Skip” Cummins says Cyberonics analyzed results from 240 people with long-term depression after two years of neurostimulation. All of the subjects had failed to respond to drugs. The analysis found that half the patients were markedly better, with 18% reporting they were no longer depressed. With the FDA’s go-ahead, Cummins says, Cyberonics will begin pilot studies on Alzheimer’s disease, headache, anxiety disorders, and bulimia. Medtronic also may be closing in on a number of new therapies. Its products are in clinical tests to pulse the thalamus to treat epilepsy; another region of the deep brain to treat migraines, depression, and obsessive-compulsive disorder; the hypoglossal nerve in the neck to treat sleep apnea; the sacral nerve to treat bowel disorders; and the stomach to treat obesity. Medtronic may have a deep-brain treatment for epilepsy in two or three years. New treatments may become feasible as device sizes shrink and rechargeable batteries evolve. Advanced Bionics, for example, has developed a rechargeable implant that is about the size of an ink tube from a ballpoint pen cut to a one-inch length. Its first use, already permitted in Europe, is to prevent bladder incontinence by stimulating the organ directly, rather than through the sacral nerve. The Boston Scientific subsidiary also has begun a stage-one trial to see whether the device can alleviate chronic headaches by injecting it into the base of the skull to stimulate the brain’s occipital lobe. And soon, company executives say, they hope to start testing the device in the leg and arm as a therapy for pain or carpal-tunnel syndrome. The leading cardiac-device makers are packing their newest implants with enough computing power to sense the environment around them and alter a patient’s treatment as needed. A next step would be to link sensor-laden neurostimulators to miniature drug pumps. In this way, a patient could be dosed exactly when needed and at the precise site where the medication is most effective. Researchers say this could reduce dosages by a thousandfold and avert side effects. Such systems would also enable a patient to be treated with bioengineered drugs and proteins too large to be absorbed by swallowing a pill. The combined therapy seems most promising in the brain, where many disorders might be tackled with protein drugs complemented by electrical pulses. As these new therapies move closer to reality, the medical-products companies are putting down their markers. Last June, Boston Scientific paid $740 million in cash to acquire Advanced Bionics. Boston Scientific also holds a 14% stake in Cyberonics. Then in December came J&J’s megadeal with Guidant. Although Guidant does not have any neurostimulators in clinical trials, the Indianapolis company has been earmarking an increasing share of its R&D budget for these devices. Some medical-products executives predict J&J or Boston Scientific could buy Cyberonics or Advanced Neuromodulation next.